Study the Word of God through Bible study. Pray for one another and for the needs of our community, country and world. Give intentionally and generously of your time, talents and treasure to further God’s kingdom here on earth through His church. As you prayerfully consider your decision to become a member of FPCP, we encourage you to speak to one of the pastors about your decision. They are available to talk with you following any worship service, or you may wish to contact them by phone or email during the week. 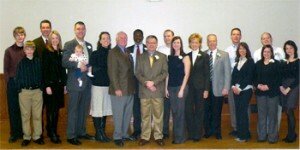 The church also typically offers a New Members Class twice a year, to persons interested in becoming members of FPCP. To sign up for the next class, contact the New Member Class Team, or by registering via the Online Registration Link. 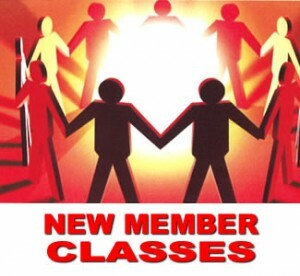 New Member classes are offered for adults interested in becoming members of FPCP and who do not have membership in another PC(USA) church. Typically, classes are held on a Sunday afternoon for two hours, two Sundays in a row. Free childcare is available if requested. The New Members are officially received into membership in our Sunday Worship Service the week following the second class. Our two ministers lead the classes, with assistance from our Membership Committee. Classes focus on the intentional commitment you are making to God by becoming a church member. Additionally, classes focus on “What it means to be a Christian” and “What it means to be a Presbyterian.” A brief history will be presented on the Presbyterian Church and on our own congregation. Theology, Spiritual Growth, and FPCP Staffing and Programs will also be discussed. There are plenty of opportunities within the class for questions, as well as an optional tour of the church. For more information, please review our WHAT GOES ON brochure. If you have been an active member of another Presbyterian (USA) church, you may join FPCP through a Letter of Transfer. It will not be necessary to attend the New Members Class. If you have been an active member of another denomination’s church, in addition to your letter of transfer, we will still require you to attend the class. If you wish to join but have never been baptized by any denomination at any age in the past, please contact one of the pastors who will work with you to discuss both baptism and membership. Confirmation Class is a class designed to help youth beginning at 8th grade explore their faith journey and prepare to become members of FPCP. This class meets from 9:00-10:00 am on Sunday mornings from September through May. Classes will occasionally also sit in on services, either in the Sanctuary or the Upper Room as determined by the class schedule. At the end of the class year, students are examined by members of the Session, who then recommend them for membership. Students will be received into membership and baptized, if necessary, at a special church service in May. For more information about this class, please visit the Confirmation Class page. 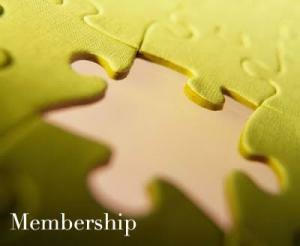 If you have questions concerning membership in FPCP, please contact Membership Elder Charles Evans.